When placing rafters for a tin roof, also frequently referred to as corrugated metal or steel, it is common to set the distance between rafters based on the size of the roofing panels. This allows the panels to be securely attached to the rafters for maximum stability. In some cases, however, the exact spacing of the rafters doesn't matter, if the roof has other means of supporting the metal panels. Rafter spacing depends on the roofing panel size. Corrugated metal panels, often called tin because in the past such panels were sometimes made of tin, are typically steel or aluminum sheets that are used as a roofing material. These panels can cost more to install that a traditional roof, but in the long run are often a better value. They are fire and insect resistant, plus they withstand wind and storm damage better than asphalt or shake roofs. Corrugated panels are also often easier to manage for the homeowner who would like to do the project himself. When preparing to install metal roofing, consider both the length and the width of the panels. These panels are available in virtually any length, but they tend to come in standard widths. While the length is important in terms of being able to handle the panel, it is the width that controls the distance between rafters. However, there are times when this is not a consideration, such as when roof decking is involved. The decking of a roof is typically a plywood layer that is fastened directly onto the rafters. The plywood covers the entire roof and is solidly attached to the rafters, providing a sturdy base for both insulation and metal roofing panels. While decking is not required for a metal roof and is often not used for shops, barns or other outbuildings, if a metal roof is being put onto a home or a garage the use of decking is common. When decking is present, the metal panels can be attached directly to the decking and the spacing of the rafters is not critical. Rafter spacing is based on the width of the metal roofing panels. Wider panels allow for greater spacing between rafters. A metal roof must also allow for some overlap on each side of the panels, which will reduce the effective width of the panel. To determine how far apart to set rafters, measure the width of the metal panel and then the width of the first hill and valley of the panel. Double the hill and valley width, since this is the amount that the panel will overlap the one next to it on each side. Subtract that number from the width of the panel and then divide by 2 to come up with the spacing for the rafters. 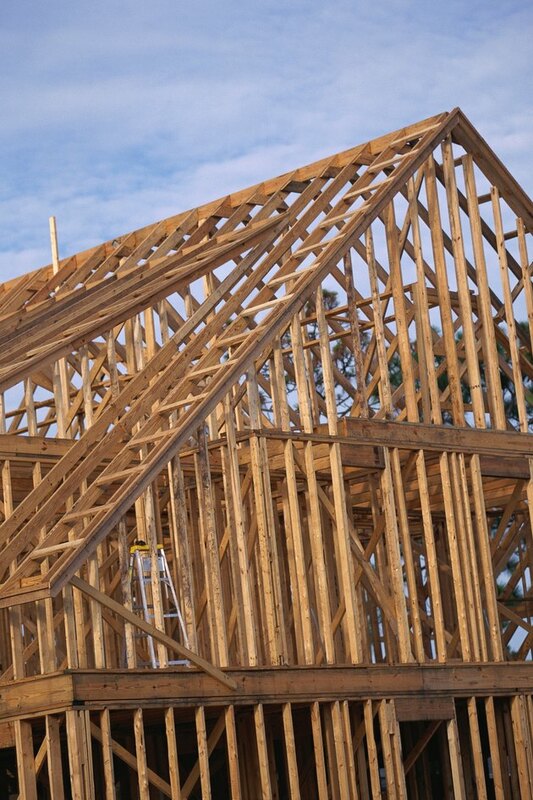 Both 16 inches and 24 inches are common measurements for rafter spacing.